No matter how many of your friends are simultaneously having children at the same time as you, mom groups you join, or how much time your spouse gets off from work, motherhood is ultimately the loneliest I have ever felt. You are stuck at home a lot figuring out how to be a mom, how to breastfeed, trying desperately to get a nap in while the baby sleeps. When your spouse is home you dump the baby off on them so you can do something normal – like shower because you seriously don’t remember the last time soap touched your body – and you don’t get to connect with them the way you used to. If you are breastfeeding, even social events can mean being by yourself so you can find a quiet spot to try and get your baby to settle into their normal nursing position. You are the one that hears the cries at night (or those fake cries when they don’t really wake up, just make noise, but you wake up and then listen for 30 minutes to make sure they aren’t REALLY awake, and then once you are done listening and determine that they are still asleep, baby actually wakes up to eat, joj mene [pronounced yoy menna, something my Croatian grandma says when frustrated]) and you are typically the one to get up at 3am to feed your baby while your spouse blissfully sleeps. If all your friends are having kids it is helpful to know you aren’t the only one that is going through the emotions and the feels that come with being a new mom. Mom groups can help bring people together, too, but here’s the common thread through all these events and isolation – no matter how many wonderful people are around you, no matter how many people volunteer to help, no one can lift the weight of responsibility from a mom’s shoulders. You are suddenly responsible for a human life, and not just protecting it, but also sustaining it. I think the weight of responsibility makes new moms feel lonely – at least this is what I realized I was feeling. I felt isolated because I knew no one could do this job but me. Even when you get a break, your baby is in the back of your mind… when will he need to eat next? Will she just cry the whole time? Should I pump now, or wait because he might need to eat as soon as I get back? It’s never ending responsibility and it will continue for forever. So it’s okay if you feel lonely, but don’t go it alone. Share your feelings with your spouse, make sure you are plugged into a mom’s group or have friends that you can share your feelings with. Ask for help when you need it. But just know that none of these things will take away the feeling (sometimes the burden) of being a mom and that huge responsibility. Change diaper. Nurse. Burp. Hold baby. Put down for a nap. Repeat. I hate changing diapers, it is probably my least favorite mom thing to do. Turns out babies – especially newborns – need diaper changes ALL. THE. TIME. 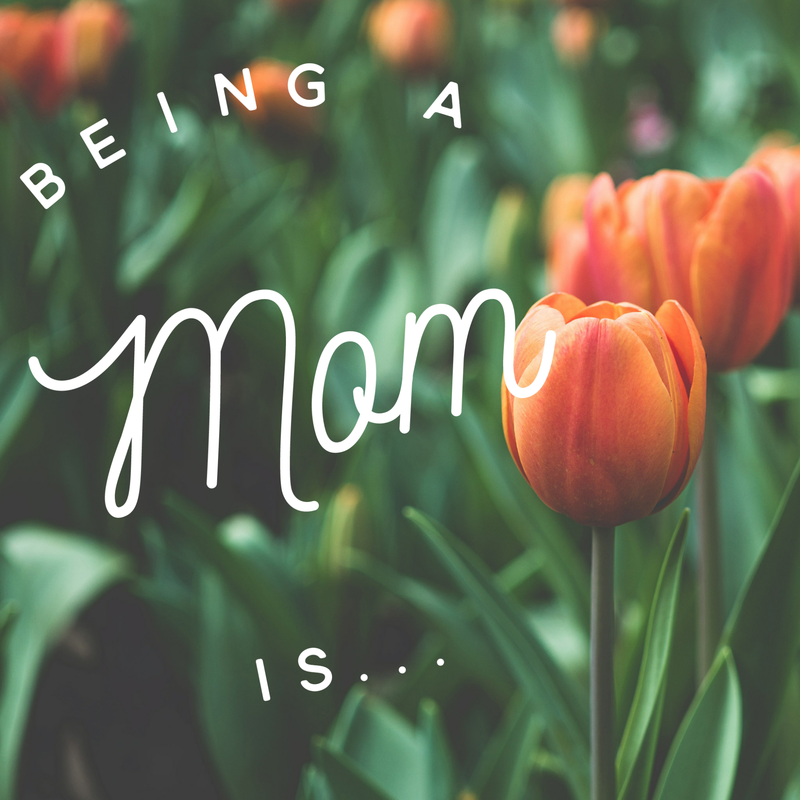 It didn’t take long for me to realize that most of being a mom the first 8 weeks is just the same thing over and over again – lots of sitting and nursing and then getting up to change a diaper. And if you are lucky, you also get to change your shirt because the baby spit up on it… and then change their clothes because they leaked out of their diaper. Being a manager of customer service representatives, I am used to being busy and thinking on my feet. I am used to problem solving and utilizing my skills and brain on a daily basis. Shifting to the mundane tasks of nursing and diaper changing was really difficult for me. I like routine, but I don’t like boredom. I like getting things done, crossing things off a list and I felt like I wasn’t accomplishing anything being a mom. I was just doing the same things over and over without actually moving forward. Eventually I was able to shift my thinking to make my “to do” list things that I could accomplish through the monotony of motherhood. I had things like: – nap, – snuggle baby, and – put clothes in dryer on my “to do” list. I literally made a list and then crossed things off. It gave me the sense of accomplishment through my daily responsibilities and made things that I used to see as time wasters meaningful to my day. It didn’t change the fact that these things were still tedious, but it was at least balanced with the feeling of accomplishment so I felt more positive and could stay motivated to keep going. Okay, so people tell you this. They joke about not getting sleep and being tired, and it’s true – I have never been so tired as when we brought our first baby home. Those first 8 weeks were the worst, I was like a walking zombie. But the exhaustion of motherhood is more than just a few nights of little sleep. I am talking about complete physical, spiritual, and emotional exhaustion. Even if your little one sleeps, you are still pouring everything you have into this new human, or multiple little humans if if you have older children. More than just being sleepy – you have a child attached to you in one way or another all day long. You no longer get to be alone. Even if your child or children are napping you are on alert, waiting for one child to cry or need you in some way. I knew I would be tired and I figured I could deal with fatigue, but I didn’t realize what complete exhaustion was like. It extends into your other relationships. Even though I felt totally alone (See loneliness above) I was so tired that I couldn’t find the energy to connect with anyone. Also, I didn’t want to be touched – like at all. Bryan would be holding the baby and the dogs would want some attention and I just did NOT want to pet them. I had to remind myself to hug Bryan and hold his hand or sit next to him on the couch. I just didn’t want to be touched because I had another human attached to me all day long. That is the best way I can explain the exhaustion of motherhood. I think that nothing else is quite like it. And on those days when you are feeling completely spent and useless because you are so exhausted, just know that it will pass. One night you will get 4 or 5 hours of sleep and you will feel like a new person! Or your new baby will FINALLY take a 2 hour nap ON HIS OWN and it will be amazing. Until those days come, it’s okay to feel completely exhausted. I think the overarching theme of this post is that you can’t do it by yourself. I know single moms who have survived these early weeks and years of parenting and I am just so in awe of what they do. You need a tribe, you need support, you need community, you need help. So ask for it! Surround yourself with people who love and support you. If you live far away from family, find a community through church or another organization. Find a mom group so you have others that are dealing with the same things you are. Join a mom group on Facebook! It’s just another way to get connected. Moms, what surprised you about parenthood? How did you survive those early days and weeks of motherhood? Couldn’t have said it better myself! Great post!